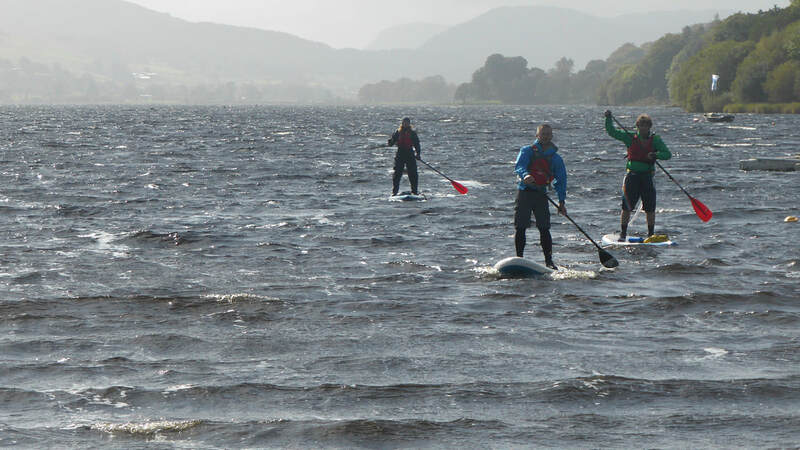 With an overall paddling distance of 43 miles and a total round trip of just shy of 1000 miles the date was set for Friday 29th September 2017, #SUPtheLakes was born. 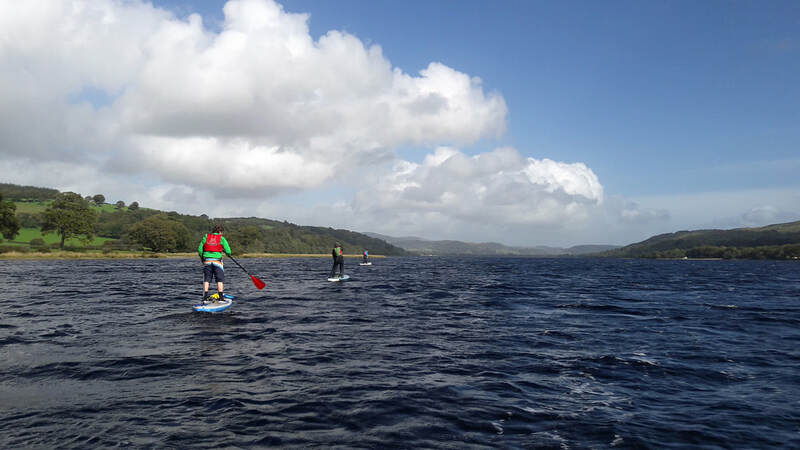 The weather wasn’t too kind to us over the duration of the challenge with strong winds on Llyn Tegid and torrential driving rain on Lake Windermere. 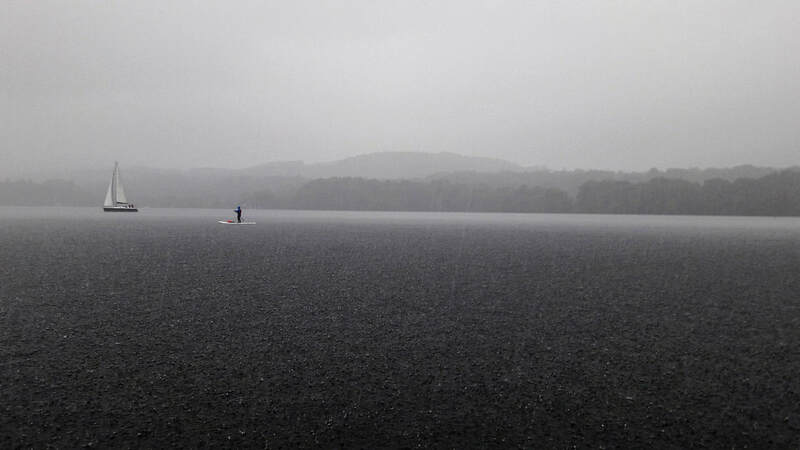 However, that was nothing compared to what we experienced on Loch Awe. The geographical location [west coast Scotland] and the shape of Loch Awe [25 miles long by 0.65 miles wide] meant that it was liable to catch and ‘funnel’ the prevailing westerly winds coming in from the North Atlantic Ocean. That same month Hurricane Maria swept through the Caribbean leaving devastation in its path. The predicted trajectory of this Hurricane was straight across the Atlantic Ocean, downgrading from a Hurricane to a Storm, but still bringing anticipated wind strength exceeding 80-90mph. 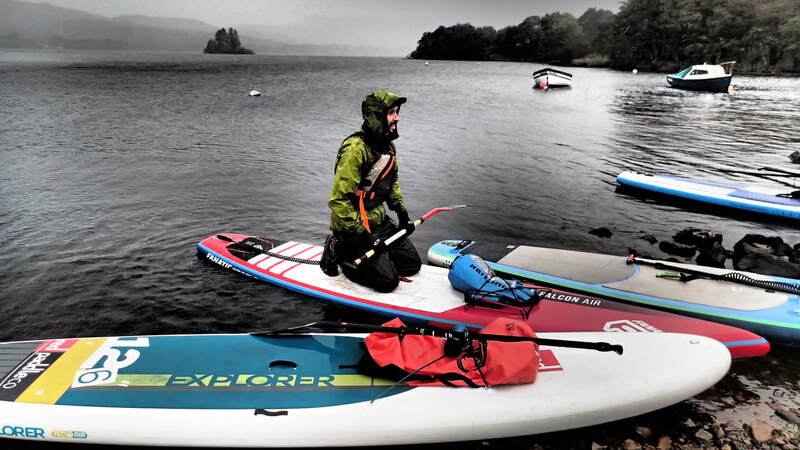 It was predicted to hit land on Sunday 1st October 2017 and, in particular, west coast Scotland – the day we were planning on paddling Loch Awe. 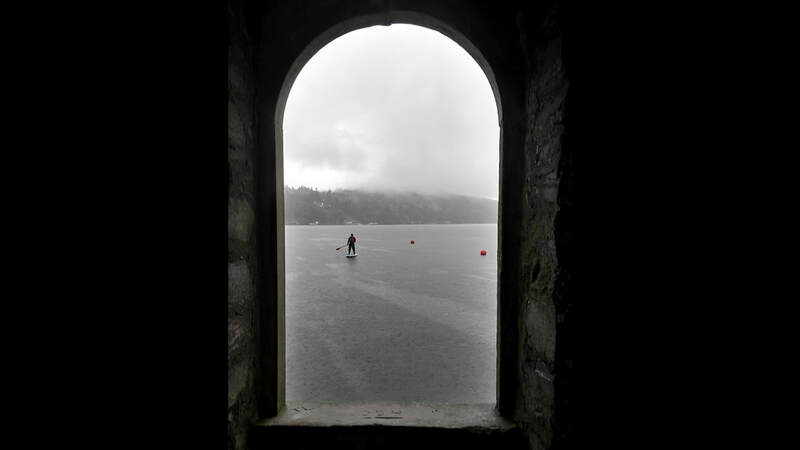 We had a window to complete the challenge but there were question marks hanging over whether there was enough time to finish the loch before Storm Maria was due to hit. We would have to be off the loch before the storm arrived, as there was no way we could paddle into winds of that strength. 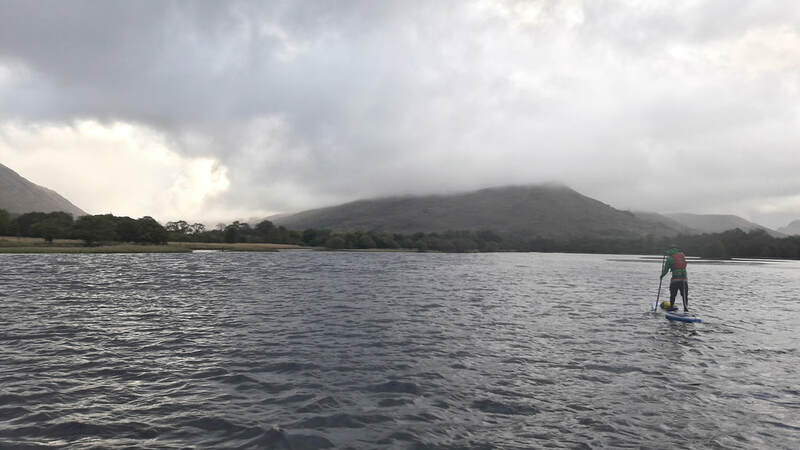 We had already envisaged Loch Awe to be the most challenging but with this storm bearing down on us, was it a push too far? We had got to this point; we had to at least give it a try. And, give it a try we did. It turned out to be a huge battle not only with the distance but also the elements. One noticeable occasion saw the wind kicking up an almighty swell, so much so that the surface water felt more like a grade of rapids than a loch. This wasn't paddle boarding, this was stand up kayaking! Whenever possible we were attempting to surf the peaks trying to avoid following the trajectory of the subsequent wave that would eventually lead to us nose-diving into the freezing water. Visibility was yo-yoing between good to poor and it was touch and go whether we should've actually continued being out on the water. Through belligerent motivation and, at times, sheer stubbornness we continued pushing on, literally fighting our way to the end. After what seemed like an eternity and with only 2-hours to spare before Storm Maria arrived we had made it, intact but exhausted. Those three days of paddle boarding were unlike anything we had experienced before on a SUP. 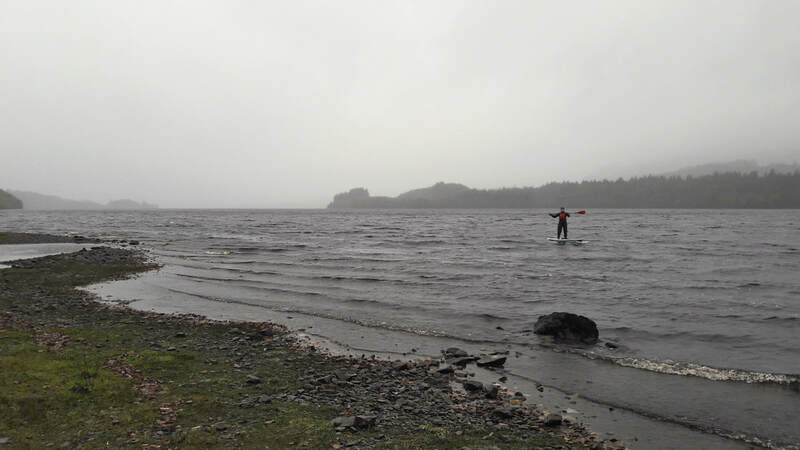 Llyn Tegid and Loch Awe felt more like SUP surfing than conventional paddle boarding and even with torrential rain and various degrees of visibility on Lake Windermere it was by no means miserable. By preparing well and dressing for the weather conditions we had given ourselves the best chance to enjoy whatever was thrown at us. Usually the gruelling parts of any challenge are hated at the time but enjoyed in retrospect. However, being out there in the middle of these huge lakes, unable to see land due to poor visibility whilst the rain fell relentlessly around us actually felt more enjoyable than if it had been a mid-summers calm day. What this challenge ended up offering were some of the most exhilarating hours of stand up paddle boarding we had ever experienced, pushing us both physically and mentally. Admittedly, it turned out to be a lot harder of a challenge than we anticipated but this made us realise that we are capable of enjoying conditions that were previously thought of as miserable. This challenge proved that even if you haven’t got the ability to take a chunk of time off work, school or study than you can still find exhilarating adventure during the weekend. Even just attempting one of these lakes could potentially offer more adventure than a whole week away. Getting outside and enjoying an adventure creates lasting memories solo or amongst family and friends. It is these things that you will remember in the long term and not that box set or overpriced coffee and cake. Try the sport yourself you may just get hooked!